A picture may be worth a thousand words, but it’s worth fewer with a lousy caption—and let’s not even get into hashtags—so Instagram is trying to help users clean things up. 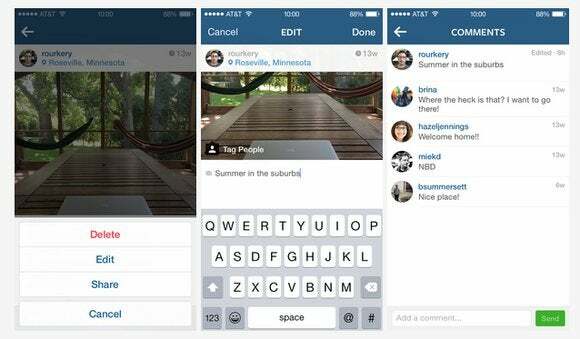 Photo captions and their locations can now be edited after posting, Instagram said Monday. The changes come courtesy of a larger update to the app on both iOS and Android. You can access the tool easily by clicking the “...” in the bottom right of the post, and selecting “edit.” Caption editing has been one of Instagram’s most requested features, the company said. The update also includes some new tools aimed at making it easier to find friends and other photographers outside your usual circle. Search has never been that great on Instagram, but the Facebook-owned app is trying to change that. The app’s “explore” tab, which used to look like a compass, is now a magnifying glass. Tapping it produces two feeds: photos and people. The photos feed displays photos and videos that people users follow have liked, or that a large number of people have liked. They’re not just posts from people in an extended network—they’re photos that have gained traction on Instagram more broadly. This could be Instagram’s way of trying to appeal even more to professional photographers, by highlighting their work.